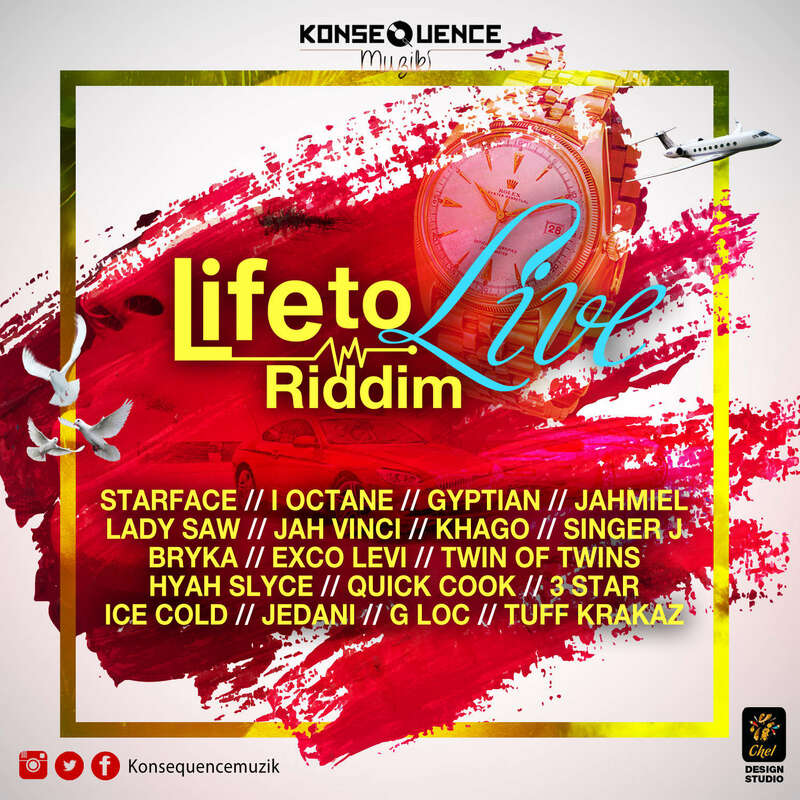 Listen the full promo mix for Konsequence Muzik’s star studded new hit riddim called “Life To Live Riddim”. The slow paced reggae riddim features a big line up with artistes like Gyptian, Jah Vinci, Lady Saw and I-Octane. The riddim also features some of the most talented upcoming artistes like Jahmiel, Starface, Bryka and 3 Star. Check it out below!